San Francisco would become the second major city in the country, after New York, to raise the age to purchase tobacco products from 18 to 21 under legislation to be introduced Tuesday by Supervisor Scott Wiener. The policy has gained traction around the country, with New York City making the change in 2014 and the state of Hawaii adopting it earlier this year. Santa Clara County is also one of about 80 governments around the country that have raised the cigarette buying age to 21, the same threshold as buying alcohol. Wiener authored the San Francisco legislation, which is co-sponsored by Supervisor Eric Mar. The two were the lead backers of a failed effort to levy a tax on soda and other sugary drinks at the ballot last year and have often linked the soda and tobacco industries in their discussions about the importance of government regulating matters of public health. But even if Wiener and Mar secure the backing of their fellow supervisors and the mayor, they could be in for a rough road ahead. The Sonoma County town of Healdsburg passed the same legislation this summer, but said it wouldn’t enforce it after legal threats from the National Association of Tobacco Outlets. The LNP has welcomed Labor taking its lead on extended smoking bans throughout Queensland but fears the Palaszczuk Government is playing politics on an issues that could save lives. Shadow Health Minister Mark McArdle said while the LNP welcomed Labor following its lead on smoking bans, but had no previous plan to extend bans until a bipartisan parliamentary committee had endorsed the LNP’s Private Member’s Bill. “LNP introduced a smoking ban bill in July and the Health and Ambulance Services Committee has already come back endorsing the LNP’s bill,” Mr McArdle said. “If the Government has suggestions or amendments to our Bill we would be more than happy to sit down with the Health Minister and discuss them, but this apparent vindictive move from the Minister is just another example of Labor’s attempts to wipe clear any LNP policy in Queensland. “This will achieve nothing other than delay the introduction of these vital laws. Mr McArdle said the LNP was the only party with a real plan to deliver solutions for a better, safer and healthier Queensland. “The LNP has a strong track record in this field, having introduced the toughest smoking laws in Queensland Parliament when it was in government, including a ban on smoking on or within five metres of health facilities and school grounds,” he said. “We believe more can be done to encourage young Queenslanders to not ever take up the habit which is why we introduced this latest bill. For each 10-cent increase in cigarette taxes, the likelihood that a youth would start smoking decreased by about 3 percent. Taxes did not affect the odds of current smoking for adolescents and young adults. Youth were 20 percent less likely to be currently smoking in areas with smoke-free bar laws, and tended to smoke fewer days out of the month in these places, as reported in JAMA Pediatrics. “Young people are going to bars a lot, and even for those who aren’t, bar culture is important to them,” Glantz said. The proposed $2 cigarette tax in California, if passed, would decrease youth smoking by about 40 percent, he said. Historically, there has been conflict between groups pushing for smoke-free laws and those concerned with youth smoking initiation, he said. Smoke-free laws were thought of primarily as a tool to reduce secondhand smoke exposure. Ideally, policymakers will combine smoke-free laws and cigarette taxes, which would have the maximum effect, he said. Some are skeptical about higher taxes effects, because they will purchase Kiss Superslims Energy online. According to the American Nonsmokers’ Rights Foundation (ANRF) website, there are at least 1,543 smoke-free campuses in the U.S. This number includes 1,043 tobacco-free schools, which explicitly ban all tobacco products, including e-cigarettes, cigars and chewing tobacco. George Washington University (GW) in Washington, D.C. is a smoke-free campus. The University of Maryland and Towson University are also smoke-free campuses. American University is a tobacco-free campus. At Towson and American, violators of the universities’ smoke-free policies are subject to disciplinary action. Additionally, Towson faculty and staff are subject to a $75 fine, which they can contest. Yun stressed that whatever policy is put in place would have to accommodate all members of the Hopkins community. “This is a process where we have to make sure that all our constituencies are cared for and supported as we go through this,” Yun said. Alain Joffe, director of the Student Health & Wellness Center, believes that the University should go smoke-free for health reasons. He believes there are more student smokers than faculty and staff smokers who know where to buy discount cigarettes online. He said that the center is equipped with resources to help students quit. Joffe said health care workers at the center can provide students with alternative options for handling stress. Thaden Brient, an Athens parent, spent about a month of his summer this year picking up cigarette butts from the grounds of Southside Park on Dairy Lane. Brient was in part cleaning up the park for his 9-year-old daughter, who uses the city’s playgrounds regularly, but he was also collecting data. He presented that data to Athens City Council on Monday, when he asked council to consider banning smoking – and possibly use of all tobacco products – in all of the city’s public parks. City Council members seemed to very much like the idea. Each council member spoke positively about Brient’s endeavor and about the possibility of banning smoking in Athens parks. “Possibly then… I don’t know what kind of ordinance would move forward to make this a more comprehensive measure but I think that’s what we’re needing to do,” council member Chris Knisely said. If City Council ends up acting on Brient’s proposal through a possible city ordinance (most likely far off in the future), Athens could become the fourth city in the state of Ohio to mandate smoke-free parks. Brient said that about 1,000 municipalities across the country have smoke-free park laws. Currently, the Athens Arts, Parks and Recreation Department has a rule that bans smoking in city parks, but there is no city ordinance to back the rule up. Rich Campitelli, director of the department, said Tuesday that he would support an ordinance banning smoking in the city’s parks. Brient collected all cigarette butts he could find around picnic shelters and benches in July and August at Southside Park. He found that an average of about 10 to 16 cigarettes were used and tossed carelessly on the ground per day after an initial cleanup of about 155 cigarette butts in the park on July 21. He found 30 butts at Highland Park after a single clean-up in July, and about 59 after a similar clean-up of the park at the Athens Community Center. There were cigarette butts not only from L&M Blue Label but also other brands. The total ban on smoking in cafes, bars and clubs will come into effect on January 1, 2015, not in October this year, sources have told broadcaster RTL news. The original deadline for the ban was July 1. The delay is due to slow procedures in the senate, or upper house of parliament, RTL said. The current ban on smoking includes an exemption for small bars with no personnel. However, once the total ban is reintroduced, smoking will only be permitted in separate sealed-off smoking areas without service. Small bars and cafes run by their owners have been exempt on the grounds they have no staff. The Dutch smoking ban was introduced to protect workers rather than public health in general. However, the ban, brought in nearly six years ago, is widely flouted in bigger bars, cafes and nightclubs. Just 57% of the Netherlands’ bars and cafes now keep to the ban on smoking. Some 61% of discos and 88% of cafes which serve food are smoke free, according to health ministry inspectors. As the new school year gets underway, Central Connecticut State University is making some big changes – to its on-campus smoking policy. 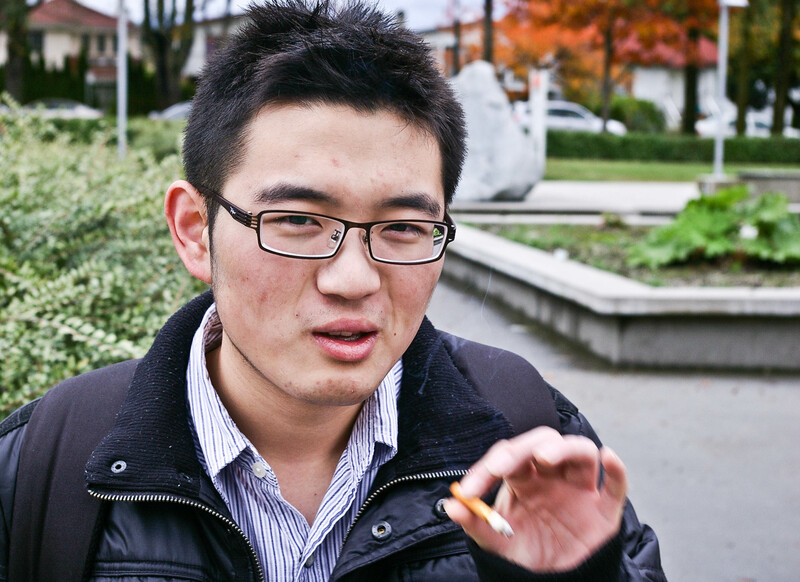 The new policy bans smoking everywhere except four locations on campus, including parking lots and smoking shelters, according to the “Smoking Policy” section of the university’s Web site. Mark McLaughlin, a spokesperson for the university, said the changes are the result of a survey conducted last spring. “The majority of the respondents preferred a smoke-free campus with a few designated areas reserved for smoking,” McLaughlin wrote in an email to NBC Connecticut on Monday. McLaughlin said the university’s former policy permitted smoking everywhere on campus except in residence halls and within 25 feet of buildings. The CCSU Web site attributes the new policy to the “university’s goal to provide a safe and healthy work environment” and says it applies to students, employees and visitors alike.